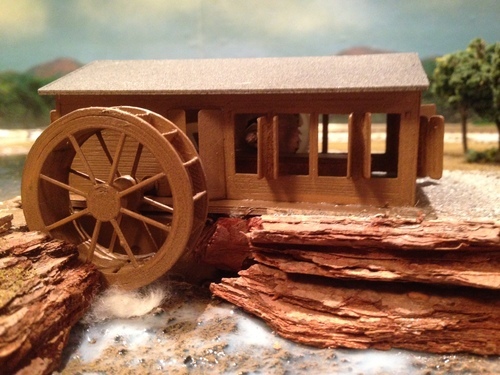 Description: This is a 3D printed Saw Mill including the rotating waterwheel for a single 33mm space module. The motorized saw mill is turning an actual 1/2" dremmel saw blade. Surprisingly, it was able to cut a strip of paper. It is finger safe!